A common misconception about the Chinese language is that it is the same all over China and if you speak Mandarin, you can understand everyone in the country. The official Chinese language of China may indeed be Mandarin, but not only are there various Mandarin dialects, there are a host of other varieties of Chinese, such as Wu (spoken in Shanghai), Min (spoken in Taiwan), and Yue (spoken in Guangdong province and Hong Kong) otherwise known as Cantonese. Each town or city then takes on their own version of the primary Chinese variety of their province. The overarching label of “the Chinese language” encompasses an extremely diverse subset of varieties and dialects. However, if you’re just learning Chinese, don’t despair that you will only be understood in the city you are learning. Regardless of the nearby city you visit, most people should be able to understand their provincial variety as well. For example, if you are studying Cantonese in Guangzhou, the capital of Guangdong province, and go to spend the weekend at a small town near the ocean such as Yangjiang, most people in that town will understand Cantonese (and probably some Mandarin as well) in addition to their local Yangjianghua or Yangjiang dialect. While all the varieties and dialects of Chinese might seem overwhelming, once you have the basics of standard Mandarin down, you should always be able to find someone who can understand you. That is, if you are pronouncing your words correctly. Chinese is full of phonemic tones, between 4-9 tones depending on if you are speaking Mandarin or Cantonese or one of the varieties in between. A word might be spelled the same in pinyin (the romanization of Chinese) but have different meanings depending on the tone and written character. For example, the word “yao” has up to 50 meanings, everything from “want” to “floating in the air” to “a weeding tool”. Pronouncing your tones correctly is vital to being understood, but given the right context, a Chinese person should still be able to get your drift even when you’re slaughtering the pronunciation. By far, the hardest aspect of Chinese is the written language. There are thousands of Chinese characters! Some estimate there are over 80,000 Chinese characters although there is no official number because some count every character ever created while others eliminate archaic characters. Luckily, the amount of characters you need to know just to read a newspaper or book in Chinese is not that high. The average educated Chinese adult has a vocabulary of over 6,000 characters, but if you learn at least 3,500 you’ll be able to read pretty much everything you find. While that’s still a huge number of characters to learn, you could actually get there in one year simply by learning 10 characters a day. Use these websites to get started! The Chinese language is fascinating, diverse and the most spoken language in the world right now. 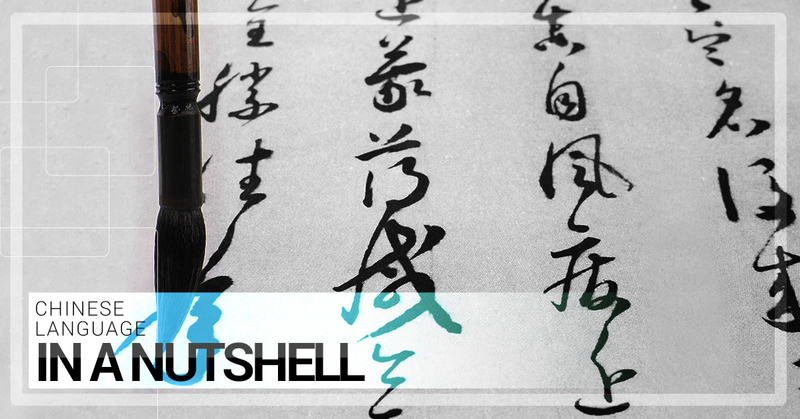 Help to clear up misconceptions about the Chinese language by sharing this post!